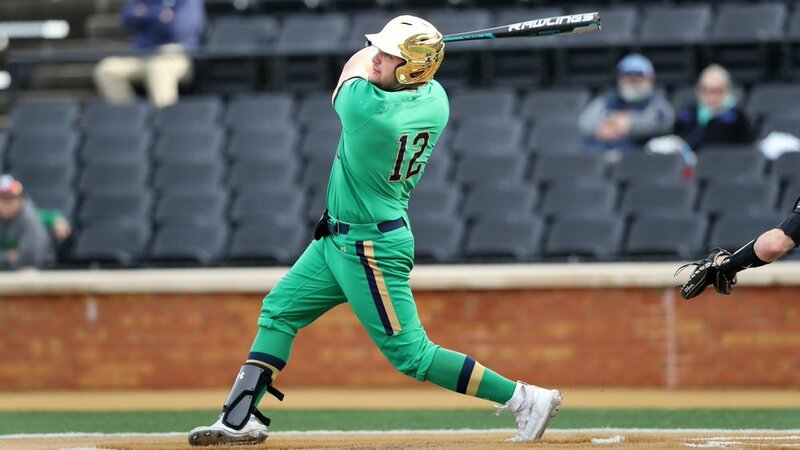 For the 2019 Season the Fighting Irish Baseball team will have a new all-green look to hit the diamond in. The green look starts with the green hat that shows off a blue shamrock outlined in gold. The jersey will have a script Irish across the chest with the players number featured underneath it. The sleeves are highlighted with two stripes of blue stacked on gold. We see the green pants continue the stripe pattern down the sides and even some of the players wear socks that have the same stripe.